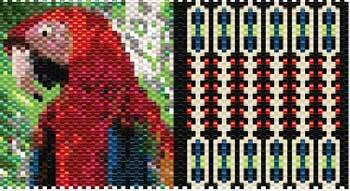 Here&apos;s an opportunity to try your hand at tapestry-style even count peyote. The many color changes create an incredibly realistic image. While a color chart is supplied this might be the perfect pattern to learn to work from a word chart.